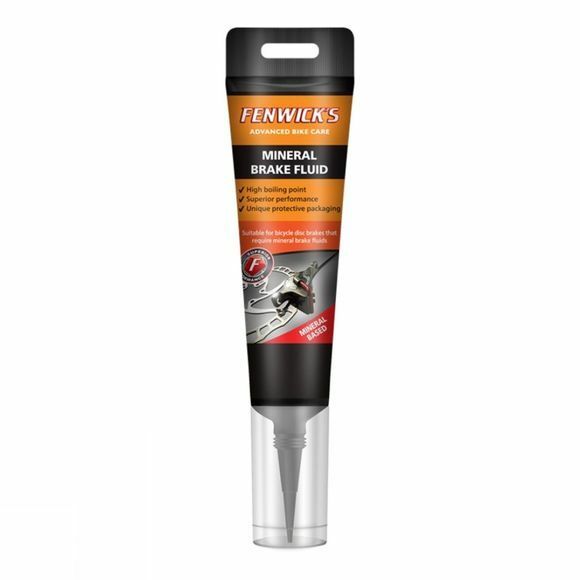 Fenwicks Mineral Brake Fluid is manufactured to the highest quality standards and specifications, not only in the bike industry, but also in the automotive industry. Due to the safety critical aspect of the product, no corners are cut whatsoever. The packaging is unique and offers a fully sealed ready to use fluid, which not only allows accurate product dosage, it may substitute for a syringe used in bleeding. The robust packaging protects the brake fluid, maintaining it in the best possible condition for use, concealed in the tube is a laminated foil substrate to prevent migration of product and water absorption.